5 MW AC project located in Lancaster County, PA.
Keystone Solar is the largest customer driven utility-scale solar project in PA. Exelon Generation and Community Energy’s retail marketing division committed to buy the output and back the financing for the project, which supplies the highest-quality green electricity – local solar power – to customers who sign up for a share of the generation. Watch the Construction Timelapse Video. 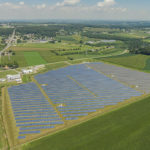 Several high-profile customers signed up for a share of the renewable energy credits, including Drexel University, Franklin & Marshall College, Eastern University, Clean Air Council, the Philadelphia Phillies, Millersville University, Marywood University and Juniata College. The project was the recipient of the PV America East 2013 Project of Distinction Award. This is a national award that recognizes major achievements in the U.S. solar market. 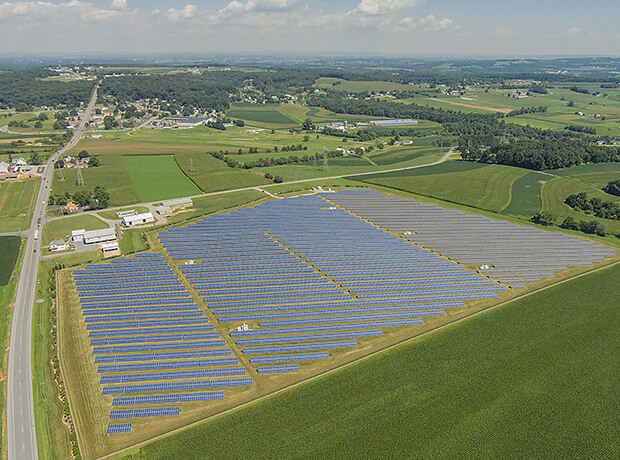 Keystone Solar was one of three projects selected out of more than 130 submitted. Columbia University School of Business produced a business case study on the project, the first case study in the U.S. on a utility-scale solar project. Keystone Solar has been online since 2012. 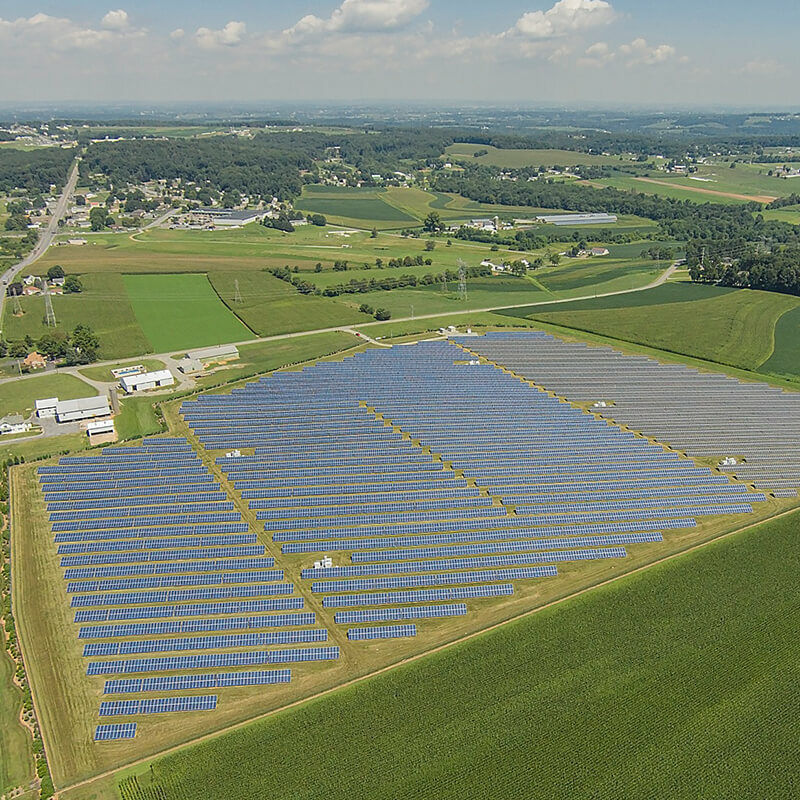 Largest customer driven utility-scale solar project in Pennsylvania. Provides power to Philadelphia Phillies, 6 local universities and the Clean Air Council. Received national PV America East 2013 Project of Distinction Award.